According to an article in the NYTimes, 14 percent of the world’s population is older than 65 and a large subsection of those people are not very tech savvy. Keeping up with their children and grandchildren can be difficult for older people who haven’t had the opportunity to grow up with smartphones, tablets, and computers. 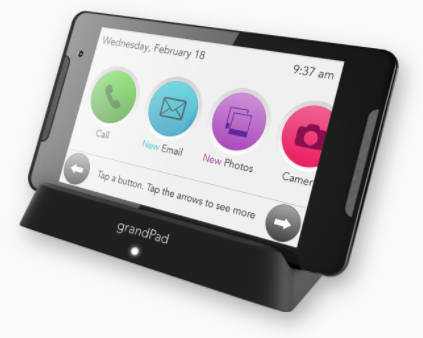 grandPad is a tablet that has been designed just for seniors with minimal tech skills to connect with their loved ones in a safe and easy way. 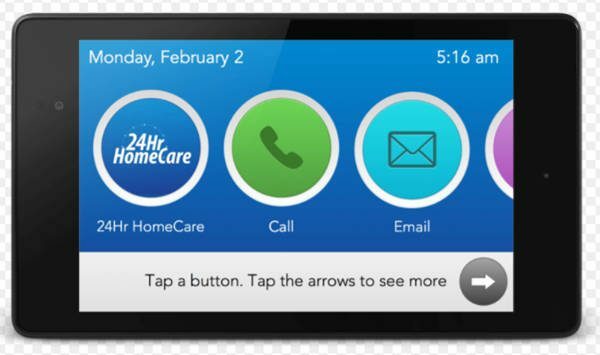 The grandPad is an 8-inch tablet that features 4G LTE connectivity so an existing broadband / WiFi is not required. It just needs Verizon coverage as that is the carrier that grandPad uses. The tablet has simplified apps for making calls, sending emails, playing games, checking the weather, taking and sending pictures, and even video calls, all without complicated setup, passwords, or distractions. It can also be setup to view loved one’s pictures from Facebook and Instagram. The grandPad is priced at $75 a month, or you can pay for a full year up front for $786 which brings the price down to $65.50 per month which includes the tablet and a free replacement in the event of theft or breakage.